It can be difficult to find the right people to support you as an adivsor. Creating a team that understands you and balances you skillsets often feels as though you're asking a lot, especially if you're limiting yourself to individuals who can come to your brick and mortar. Today Matt is sitting down with female entrepreneur and FPQP Michelle Wong to discuss her latest business and your solution to finding the perfect support system for your advisory firm. Michelle is the founder and CEO of Nifty Advisor Support which offers a comprehensive virtual assistant program specifically tailored for RIAs. Nifty can assist your business with client service and operations, marketing and communication, and paraplanning. Michelle explores her process and methodolgy to providing RIA's with the best service possible, at a minimal cost. If you're curious about how to improve your business without the hassel of creating a salaried position tune in with Michelle and Matt to explore the opportunities of Nifty Advisor Support. Jay Mooreland, the founder of the Emotional Investor, joins Matt today to discuss behavioral finances. Titled by Matt as the "investor of all investors", Jay's career began as a CFP then developed into becoming a behavioral coach. With the recent market dips, emotions are back playing a major role in the financial markets, and this is an epsiode you won't want to miss! As an advisor, you may consider interacting with the media a personal nightmare. Trying to understand rhyme or reason to what story make the news cycle, or who picks up your latest endevor can leave anyone frustrated. But don't give up on the media yet! Matt and Kirk had the opportunity to sit down with Bill Bongiorno, a PR gladiator with decades in the business. Together, the three of them discuss 3 simple tools that can change your life when it comes to getting in front of the media. Whether you're looking to be the next guest on your regional financial radio show, or your wanting some coverage from the local paper on your latest charitable event you're going to want these 5 tools in your arsenal today! 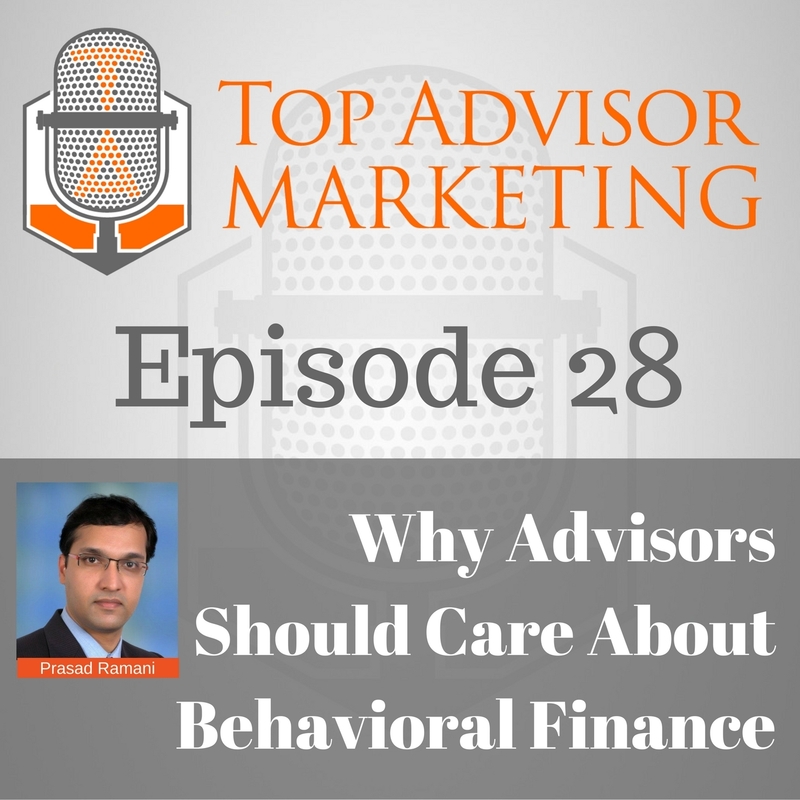 Prasad Ramani, founder of Syntoniq, joins us to discuss the simple and compelling applications of behavioral finance in an advisor's practice and a client's life. Prasad discusses: why is BF important, how does it impact client investment behavior, why is it a factor when it comes to business development, and how BF can be used to develop and strength relationships with new and existing clients. AdvisorConnects's Jimmy Lyons and Jeff Tompkins join Matt Halloran for a discussion on ways advisors can adopt technology to make their practice and lives better. In the age of digital fatigue, advisors need to find how to connect technology to simplify how it works, how much it costs and how it can give them more time, not less. Doug chats about his incredible financial content and media platform (IRIS.xyz) - and how and why he got started. Doug talks about the advent of financial planning too- great story. IRIS is an incredible platform (community) for advisors to learn and share their content. You'll want to listen to this podcast then check IRIS out. Douglas Heikkinen brings over 25 years of experience as a marketing and communications professional and a client-side procurer of information and services to the financial sector and others. He is a defector from the corporate world, taking with him a thorough understanding of the mindset of capital business. 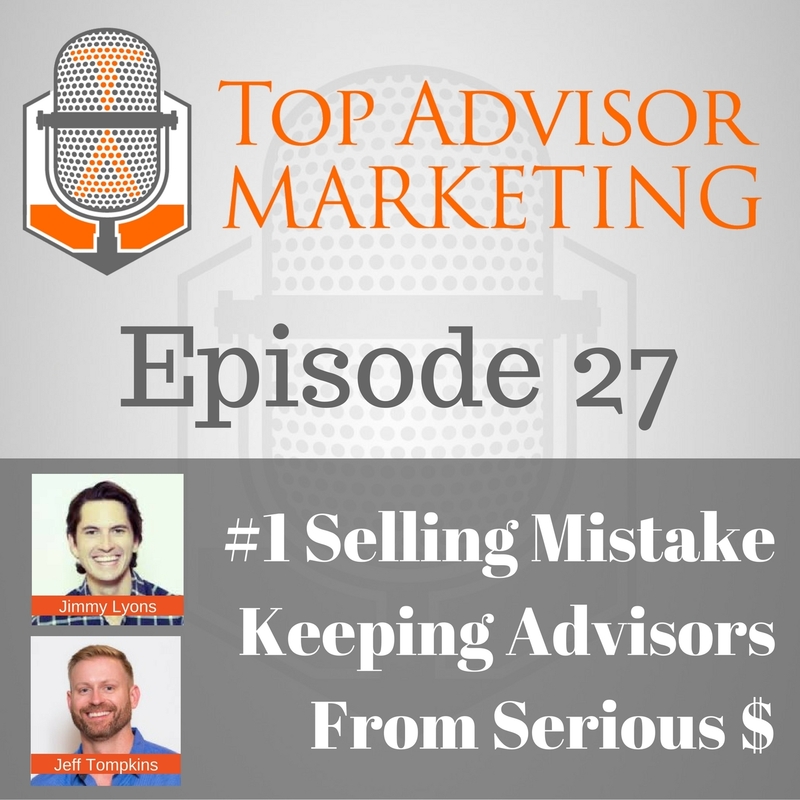 Advisors can't build good marketing while considering how to make "compliance" happy. It's better to start with what will work then work backwards to get compliance on board or to make small concessions. Lots more financial marketing and success nuggets throughout this podcast. Robert launched a platform to help advisors automate many parts of their business (prospecting, client experience, client communication, prospect mgmt) so advisors can focus on the only thing they can't outsource of automate, meeting with clients. Lots of great insight into Snappy Kraken's platform.